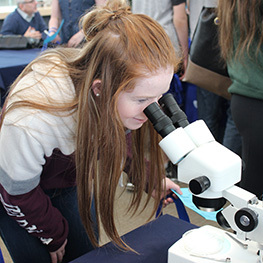 Your experience at Lakehead-Georgian isn’t just about what happens inside the classroom. We’re here to help nurture your passions outside of the classroom – helping you grow and succeed as a student and a person. Get involved in Lakehead-Georgian and make your experience here a great one! Our student services staff are here to support you. Whether its tutoring, career advice, or speaking with a counsellor, we’ll connect you to the resources you need. We have a number of health and wellness resources at both campuses to support a healthy lifestyle. Students have a variety of options – whether it’s living on-campus in residence, or living in off-campus rentals. Whether you’re looking to buy a parking permit, stay active, access study resources, or opportunities to meet new friends, on campus supports are available to assist you as a Lakehead-Georgian student. There are a number of dining options at both campuses to help you fuel up. Kick-start your new adventure by participating in Lakehead-Georgian’s orientation activities. Make new friends and learn more about your postsecondary experience.